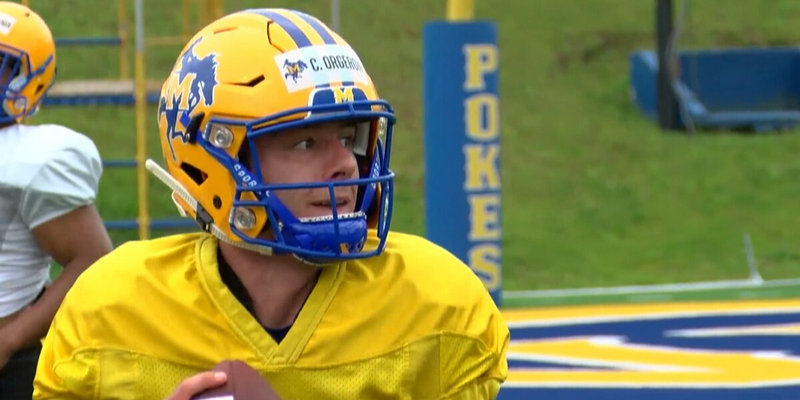 LAKE CHARLES, LA (KPLC) - McNeese held its second scrimmage of spring practice on Saturday and showed some good things on both sides of the ball as well as coming out of the 100-play scrimmage knowing there’s still work to get done with just three practices remaining. The offense did a better job of taking care of the ball, throwing no interceptions and losing just one fumble. The quarterbacks combined to complete 18 of 31 passes for 137 yards and three touchdowns. Cody Orgeron led the way by connecting on 12 of 16 of his throws for 111 yards and all three touchdowns. His favorite target was Cyron Sutton who hauled in five passes for 90 yards and two scores. The other TD went to Lawayne Ross on a 5-yard dip over the middle. The defense didn’t get any picks this week after swiping away three in the first scrimmage, but it did get to the quarterback once (Gabe Foster) as well as numerous tackles behind the line of scrimmage. The first score on the day came by way of a 23-yard Bailey Raborn field goal. After that, Orgeron connected with Ross for the first touchdown. Running back Reggie Francis, who rolled up 41 yards on eight carries, scored on a 4-yard dive for the only rushing TD on the day despite the running game rolling up 202 yards on 46 carries. Reggie Williams led the pack with 67 yards on eight carries and Mac Briscoe carried it eight times for 31 yards. Sutton caught TD passes of 7 and 22 yards from Orgeron to cap the scoring. 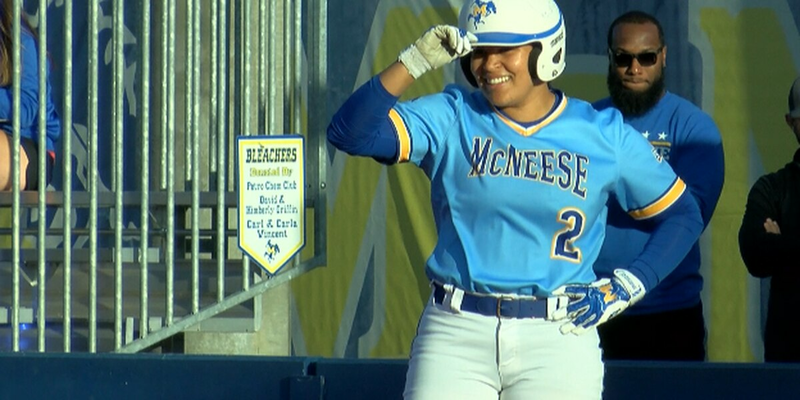 McNeese will go into its final week of spring practice and will hit the field on Tuesday and Thursday before next Saturday’s spring game in Cowboy Stadium beginning at noon. Passing: Cody Orgeron 12-16, 111, 3 TDs; Matt Gardner 2-4, 12; Matt Keller 3-6, 8; Andrew McBride 1-2, 6; Cam Smith 0-3, 0. Totals: 18-31, 137, 3 TDs, 0 INT. Rushing: Reggie Williams 8-67; Reggie Francis 8-41, TD; Mac Briscoe 8-31; J’Cobi Skinner 6-19; J’uan Gross 4-18; Quincy Cage 1-10; McCaylon Thibeaux 5-8; Braeden James 4-5; Dade Dieterich 1-4; Dontay Hargrove 1- (-1). Totals: 46-202, TD. Receiving: Cyron Sutton 5-90, 2 TDs; Trevor Begue 3-9; Tyler Washington 2-11; Quincy Cage 2-9; Davion Curtis 1-8; Lawayne Ross 1-5, TD; Zach Hayes 1-7; J’Coby Skinner 1-2; Nate Briscoe 1- (-1); Draysean Hudson 1- (-1).